The Contract for the Sale and Purchase of Land 2018 Edition is a revision of the 2017 Edition. 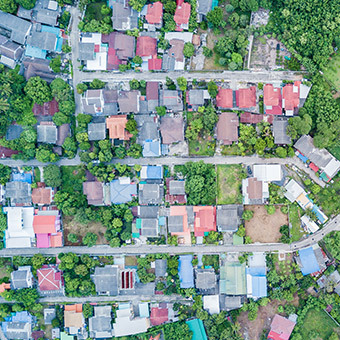 The 2018 Edition addresses changes made to GST legislation which require purchasers of new residential premises or subdivisions of potential residential land to withhold an amount from the contract price and remit it to the Australian Taxation Office (“ATO”) on or before settlement. This new measure, sometimes called the “GST at settlement” measure, will commence on 1 July 2018, pursuant to Schedule 5 of the Treasury Laws Amendment (2018 Measures No. 1) Act 2018 (Cth). The 2018 Edition also includes other legislative updates. In relation to the tick-a-box “Choices”, the default choice for a proposed electronic transaction has been changed to yes. The default choice has been changed to reflect the mandated transition to electronic conveyancing which requires most conveyancing transactions to be conducted electronically from 1 July 2019. This does not mean that the transaction must be conducted electronically; the vendor can specify that it will not be conducted electronically. Additionally, under clause 30.2.2, the purchaser and the vendor have the ability to notify the other party that the transaction will not be conducted as an electronic transaction. Page 2, Tax Information A new tick-a-box choice has been added to enable the vendor to indicate whether or not the purchaser must make a residential withholding payment under the GST at settlement measure. In this way, vendors are able to satisfy their obligation to notify the purchaser whether or not the transaction is subject to a withholding under the measure. See section 14-255(1)(a) of Schedule 1 to the Taxation Administration Act 1953 (Cth), which was inserted by Schedule 5 of the Treasury Laws Amendment (2018 Measures No. 1) Act 2018 (Cth). Note that the obligation to notify as to whether or not the transaction is subject to a withholding applies in relation to ALL sales of residential premises and potential residential land. For example, the notification must be provided in relation to the sale of an existing residence even if no GST is payable on the supply by the vendor. Page 2, RW Payment A new section has been inserted headed “RW payment (residential withholding payment) – further details” which operates in situations where a residential withholding payment must be made. This section sets out all the particulars that must be supplied by the vendor to the purchaser where the measure applies. See section 14-255(1)(b) of Schedule 1 to the Taxation Administration Act 1953 (Cth), which was inserted by Schedule 5 of the Treasury Laws Amendment (2018 Measures No. 1) Act 2018 (Cth). It also sets out additional information that the purchaser will need to complete the two ATO forms. Where there is more than one supplier, the details must be provided for each supplier. When a property has sold at auction, the amount the purchaser must pay will usually not be completed in the contract on page 2. In those circumstances, the vendor must provide all these details in a separate notice to the purchaser within 14 days of the contract date. and “document relevant to off-the-plan sale”. Page 4, Statutory Notices The warning in relation to swimming pools has been deleted. This warning is no longer required under the Conveyancing (Sale of Land) Regulation 2017. Page 5, Disputes The item in relation to Disputes has been updated. To reflect the current name of the Law Society’s Mediation Program and to increase awareness of the Law Society’s Conveyancing Dispute Resolution Scheme. Page 6, Warning 3 Warning 3 has been amended. To reflect recent changes to crown land procedures under the Crown Land Management Act 2016. Page 6, Warning 12 A new Warning 12 has been inserted. To alert the parties to the new GST at settlement measure. Clause 1 Definition of “planning agreement” A new definition for “planning agreement” has been inserted. See changes made in clause 27 Consent to transfer, to include planning agreements. Clause 1 Definitions Definitions for “RW payment” and “RW rate” have been inserted. See page 2 and new clause 13.13 in clause 13 GST. Clause 13.13 Goods and services tax (GST) New clause 13.13 has been inserted. • clauses 13.13.2–13.13.4 will not apply where the transaction is conducted electronically, under clause 30.11.3. • To provide guidance for the payment of the withholding amount at settlement and provision of evidence of the payment. Clause 20.6.5 Miscellaneous This clause has been amended to provide for service by email. To reflect the prevalence of email communication. Clause 23.9.4 Strata or Community Title New clause 23.8.4 has been added to clause 23 Strata or community title, in relation to strata renewals. A purchaser is given a new right to rescind where a strata renewal has sufficiently progressed as specified, but certain documentation associated with the strata renewal was not attached to the contract, to provide greater protection. Where the vendor has attached either a strata renewal proposal or the strata renewal plan to the contract, the purchaser will not have a right to rescind. Clause 27 Consent to transfer This clause has been updated and amended. To reflect the repeal of the Western Lands Act 1901 and the consequential change in terminology. It has also been amended to capture the obtaining of consent to transfer in relation to planning agreements which are becoming increasingly common. Clause 30 Electronic transaction This clause has been updated. To reflect the mandatory transition to electronic conveyancing. From 1 July 2018 under the transition timetable, as documented in the Conveyancing Rules, a standalone transfer must be lodged electronically. By 1 July 2019 virtually all standard conveyancing transactions must be conducted electronically.